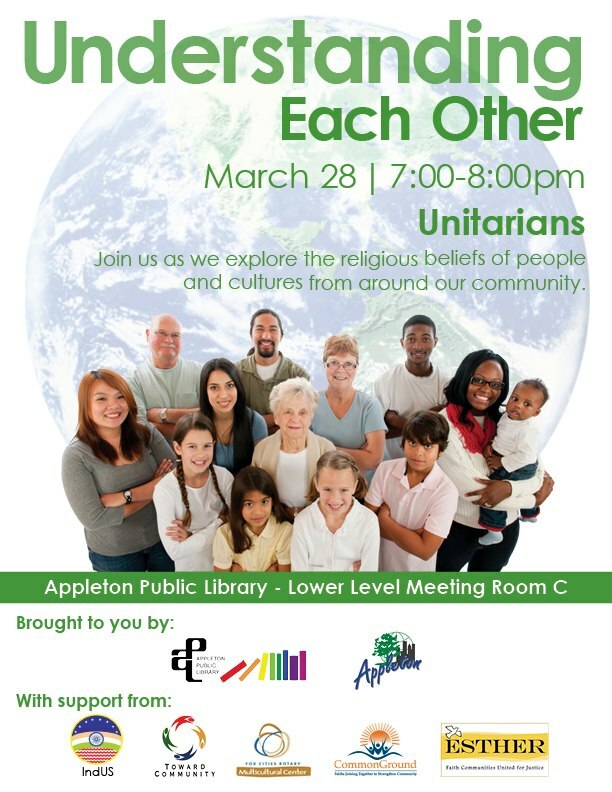 Posted on Mar 26, 2013 by Appleton Downtown Inc.
Appleton Public Library is happy to announce that they will be continuing their Understanding Each Other series. Please join us in this Thursday from 7:00-8:00pm, as we explore the religious beliefs of people and cultures from around our community. This installment of Understanding Each Other will focus on Unitarians.